Aeronautical Engineering is a course that primarily deals with the Airplanes, Jet Planes, Aircraft, Space Shuttle etc. Aeronautical Is also considered as " Sailing The Sky ". Those students who choose Aeronautical Engineering have to study Manufacturing of flight-capable machines or the techniques of operating aircraft. They work with the theory, technology, and practice of flight within the Earth's atmosphere. It supports the s the development of new technologies in aviation and defense systems. So those students who are interested in jet planes, spacecraft etc. they can apply for Aeronautical Engineering. Astronautical Engineering is a specialized division of Aerospace Engineering. Astronautical Engineering is a course that deals with advanced science, space technology, and aerospace operations. After completing it the engineers works for communications and direct broadcasting satellites, space navigational systems, remote sensing and reconnaissance satellites, space vehicles for human spaceflight, space launchers and planetary probes. 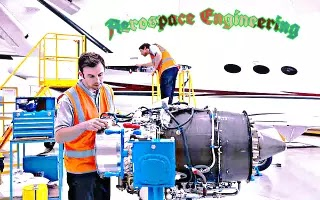 The engineers of aerospace engineering must have the knowledge of Science and technology and also must have the experience for the practical application science and technology. This experience of practical application of various principles of science, and techniques of engineering is very necessary in order to create effective design and production of various goods and services. The engineers must have great intelligence on mathematics. Hence they must have a tight grip on some popular parts of mathematics such as arithmetic, algebra, geometry, calculus, statistics, and other advanced topics. Students must also have the ability to apply these in order to analysis, design, and troubleshooting in their work. As the aerospace engineers work with spacecraft and aircraft, these are fly in the sky so for manufacturing t, is engineer must have great knowledge of various principles and laws of physics. Engineers must also have knowledge of relations between variables. Engineers must have the city to apply various principals and laws of physics for analysis, design, and troubleshooting in their work. In order to make sure the space crafts and aircraft manufactured by them work properly in sky space. Engineers must have deep knowledge of following topics of physics::- fluid, material, and atmospheric dynamics, and mechanical, electrical, atomic and subatomic structures and processes. As during manufacture, t, e air crafts, and space crafts engineers perform various computer programs for controlling them, these programs related circuit boards, processors, chips, electronic equipment, and computer hardware and software. So Engineers must have the following knowledge. While performing the various computer programs the engineers have to write the code of various programs in the English language. So engineers must have knowledge of the structure and content of the English language including the meaning and spelling of words, rules of composition, and grammar. Engineers must have knowledge of raw materials, production processes, quality control, costs, and other techniques for maximizing the effective manufacture and distribution of goods.